Jack L. Elkins, Sr., age 84, of Bowersville, passed Sunday, November 18, 2018, at Jamestown Health and Rehab. Born on August 25, 1934, Jack was the son of the late Lawrence A. Elkins and Helen ‘Benson’ Elkins. He is also preceded in death by his step-mother, Lema ‘Carpenter’ Elkins. He married Jennie Mae Rose on August 1, 1953. She preceded him in death, after 51 years of marriage, on October 29, 2004. Jack served his country in the Reserves for six years, from 1955-1961. He was a resident of Centerfield for over 46 years. Jack then moved to Clinton County in 2004 and to Bowersville in November of 2010. He was an outstanding person in the church. He served as teacher, Sunday School Superintendent, Trustee, and Elder. Jack worked for Martings Manufacturing Co. of Washington Court House for 41 years. He was a faithful member of the Sabina Church of Christ. 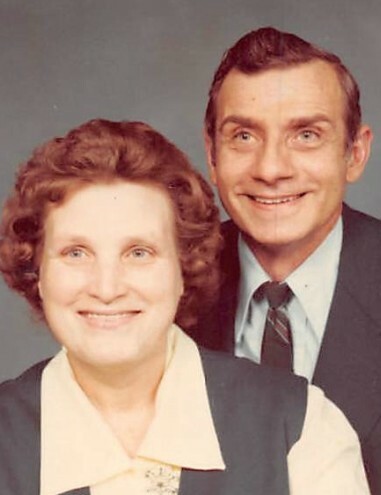 Jack leaves behind his son, Jack L. Elkins, Jr. and his wife Nancy, of Bowersville. Also left to cherish his memory are grandchildren: Jeffrey L. (Alissa) Elkins of Rockville, MD, and Alexandria A. (Micah) Winter of Alexander, ND; sister, Margie and brother, Robert J. Elkins. Family will receive friends at Littleton Funeral Home, Sabina, on Wednesday, November 21, 2018, from 1-2pm, when a funeral service will begin. Burial to follow at Woodlawn Cemetery, Bowersville.